A good old stuff-your-face eating contest is hard to find nowadays. 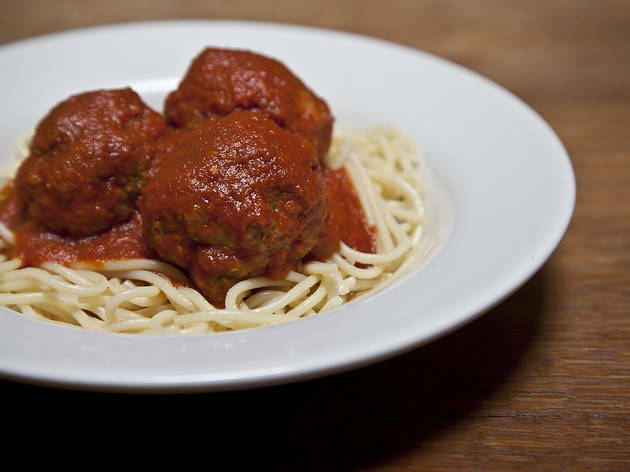 Enter Balls for Balls, a meatball-eating contest to raise funds for fighting prostate cancer (get it?). To get in on the action, come up with a group of four and register online, or just register yourself and get placed in a team. The winners will receive more than $200. If meat isn't your thing, you can come watch the show for free while enjoying drinks at the hotel Mezz's full bar. Free health screenings will also be on offer, and 100% of the afternoon's proceeds will go to the Canary Foundation's prostate program.